Additional Info: Hi I am an experienced in orchestral and chamber music. I also do some events just solo cello. Over the years bringing up three kids I have been an extra on the day for community orchestras and played in string quartets for wedding s and events. 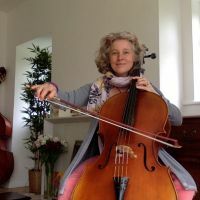 I also teach I have recently moved to Sussex form Cambridgeshire - where I have coached youth orchestra cellos and quartet clubs plus taught privately from home.